The FROMAGEMAS at Byron Burger. Are you heading to Leicester's Highcross Shopping Centre this month for some Christmas shopping? Or maybe you're planning that all important Christmas party but not sure where to go? 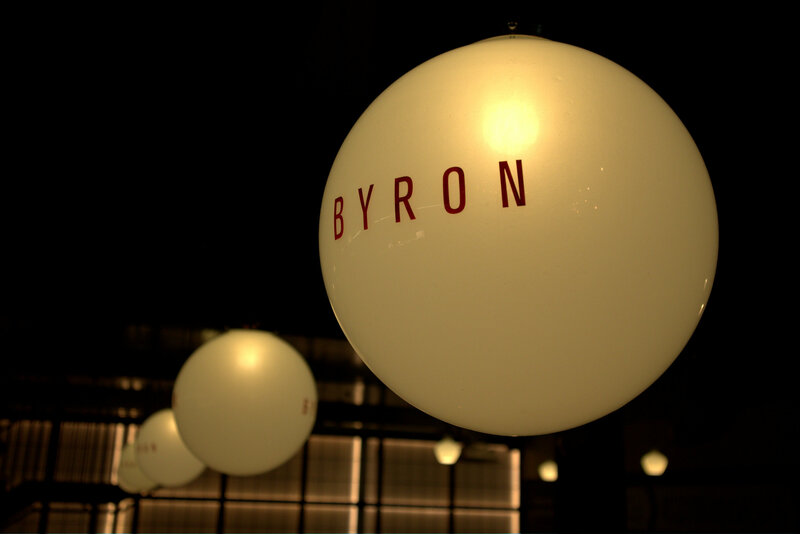 Byron Burger is probably not on the list of places to book your dinner at, but it should be. They've created some Christmas additions to their menu this year that aren't to be missed. To kick our visit off we decided to have some of the restaurants Chicken Nuggets. They're always a good option because of their quantity and flavour, they were pipping hot and I thoroughly enjoyed dipping them into the BBQ sauce that they came with. For our main dish, we got stuck into the Christmas menu deciding to sample their new burger especially for the festive season, the Fromagemas. 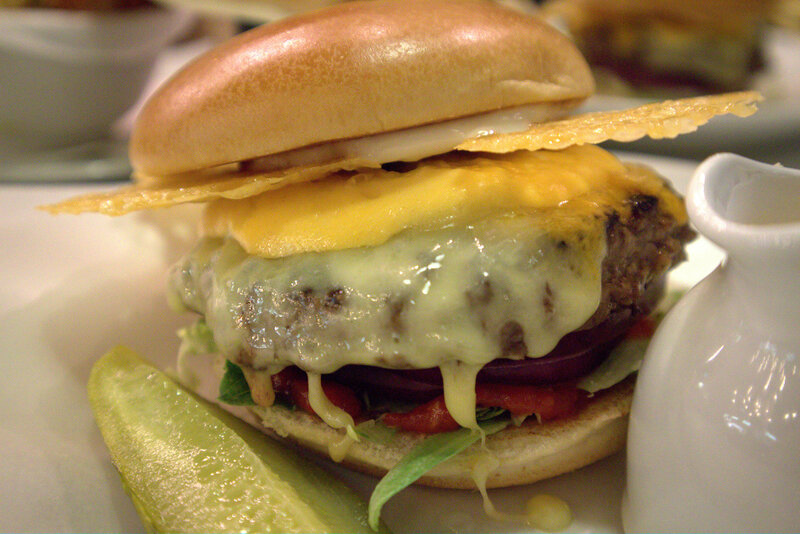 If you're a fan of cheese then this burger is definitely up your street. 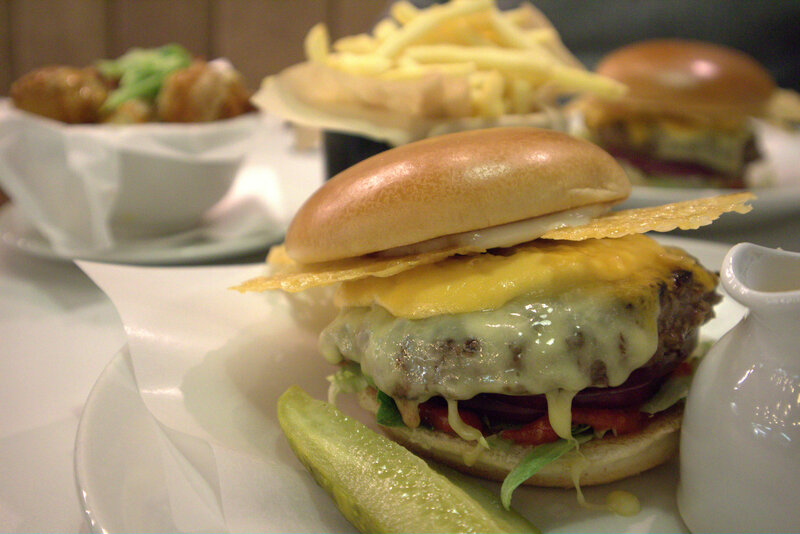 It consists of a 6oz hamburger (cooked with a slightly pink middle, Byron do this with all of their burgers as a given), Barber's cheddar, Barber's Red Leicester, Byron Cheese, crispy Grana Padano, red onion, smoked tomato ketchup and Grana Padano. If that's not enough cheese then don't worry because it's served with a jug of Byron cheese sauce. The burger was delicious and so full of flavour, the crispy cheese was a great added touch to the texture of the burger too. It was a messy burger and it wasn't until we'd already got ourselves in a mess we realised the paper underneath was available for us to pick the burger up without it getting everywhere (typical). The Fromagemas was definitely the right amount of cheese for one person, I definitely want to have another one of these burgers before it leaves the menu. 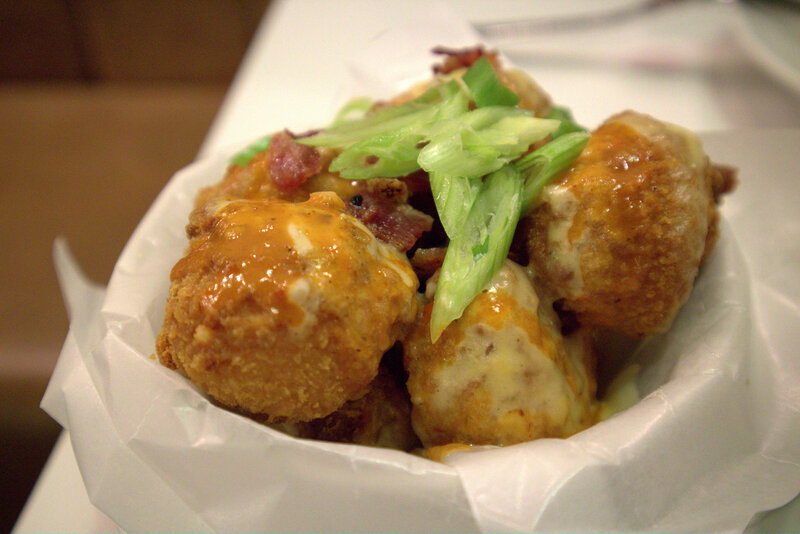 If that wasn't enough cheese I couldn't not miss out on another addition to their Christmas menu, the Holy Cheese Balls. The mac and cheese bites topped with Buffalo glaze, Byron Cheese sauce, spring onions and crispy bacon was the perfect side dish to compliment the burger. The bites definitely had the flavour and texture I had hoped it would, they were delicious and actually more enjoyable for me than the burger. I'd be happy to have these alone! I think they need some kind of festive tomato based dip to be dunked into, they can feel a bit bland after a couple otherwise. Obviously we had chips on the side too, Byron really do some delicious chips at their restaurant. 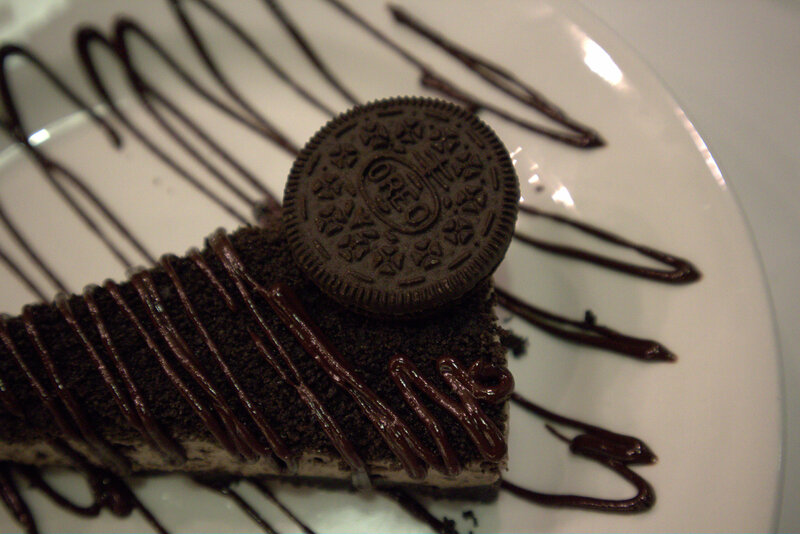 Obviously there's always room for dessert and Byron's selection is hard to resist. We wanted to dive in and try one of their freakshakes but then we would have had to have been rolled out of the restaurant door. Instead we opted for something smaller but still would satisfy our sweet tooth. 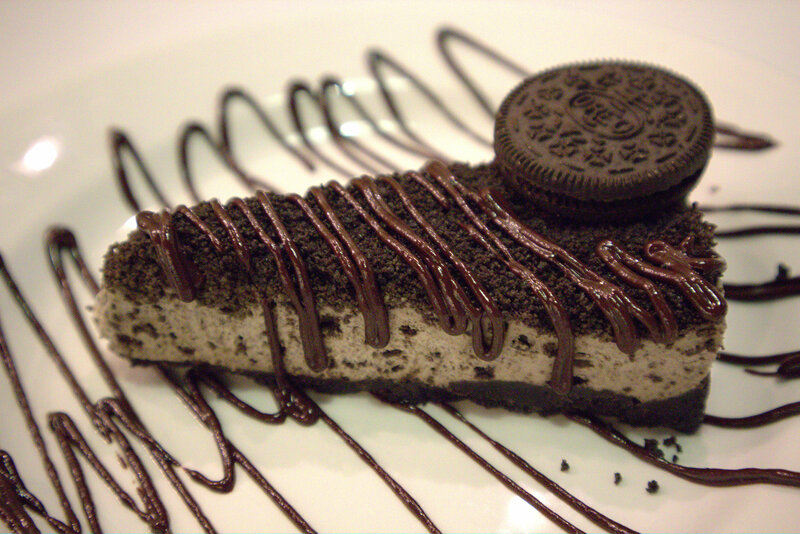 Their Oero cheesecake was the perfect solution. Delicious from the top to the base and the definite finale to our meal. Whilst your shopping in the Highcross Shopping Centre this festive season why not download the Highcross PLUS app for free. The Highcross PLUS App gives you all of the latest news in the centre, a VIP ticket to exciting events, an exclusive offer for your favourite brand or an amazing prize draw. The app is available from both Google and Apple stores. *Collaboration post with Frank PR in return for this post to be published.